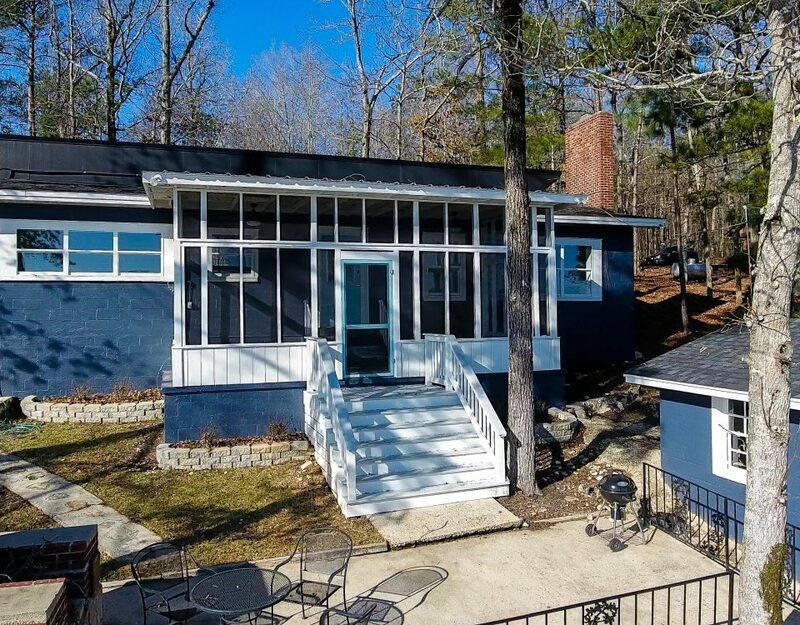 What does Active, Pending and Closed mean in the Lake Martin MLS? If it keeps on raining, the levee is not going to break. In fact, we don’t have a levee holding back the Tallapoosa River. We have a dam – and a pretty dang good one at that. Martin Dam has been serving the area for almost 100 years, and it is not going anywhere. That is not changing one bit. What is changing in 2017 is that this is the first real chance to see the effects of the recently renewed license for Martin Dam. 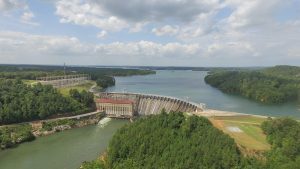 Although Alabama Power Company (APC) owns the dam, it has to get 30-year permits to run it, approved by the Federal Energy Regulatory Commission (FERC). When FERC granted the new rule curve for Lake Martin, there were two key changes: The new winter water level would be only 7 feet down from the summer full pool, as opposed to 10 previously. In other words, Alabama Power only drops the lake 7 feet in the winter. And Lake Martin will be allowed to keep the lake full until Oct. 15, given that the area receives enough rainfall, along with a few other factors. I think we can all agree that we have had enough rain this summer to set us up well for the satisfaction of the requirements to keep the lake full into October. In a recent article in the Alexander City Outlook, Alabama Power agreed. Jim Crew, the person in charge of relicensing for APC, agreed that we are ahead of rainfall totals so far this year. Obviously, we will know more once we hit September, but unless we get hit by some kind of epic drought, it looks like we have great potential to keep the water up after Labor Day. While I certainly celebrated the new 7-foot winter drop, I have always held the theory that the conditional fall full pool would have a greater economic impact for the Lake Martin region. I agree with many others who feel the mere sight of more water after Labor Day will inspire more people to visit here well into autumn. People that own waterfront homes will spend a few more weekends at their lake homes. Boating enthusiasts that drive to the lake in the morning and drive back at night – I like to call them day trippers – will realize the joy of a September Saturday boat ride, once they discover that, in September, the weather is a tad cooler than August but the water is still warm, the heavy crowds are gone, and there’s always football on the radio (or at least streaming on their phones). As the theory goes, the more people that come to the lake after Labor Day, the more they will need to shop retail, stay at hotels, dine in restaurants, and use local services. Business owners do realize this, and they will stay open and stay fully staffed instead of laying off employees until the spring. The more consumers realize that businesses are still open and that there is plenty to do here in the fall, the more people will come, which will help more businesses, etc. Now, I am not expecting Adam Smith’s Invisible Hand of Capitalism to kick in overnight, or even this first fall (if it happens, not jinxing it). My guess is that it might take several years for tourists to realize how awesome it is here in the fall, full pool or no. 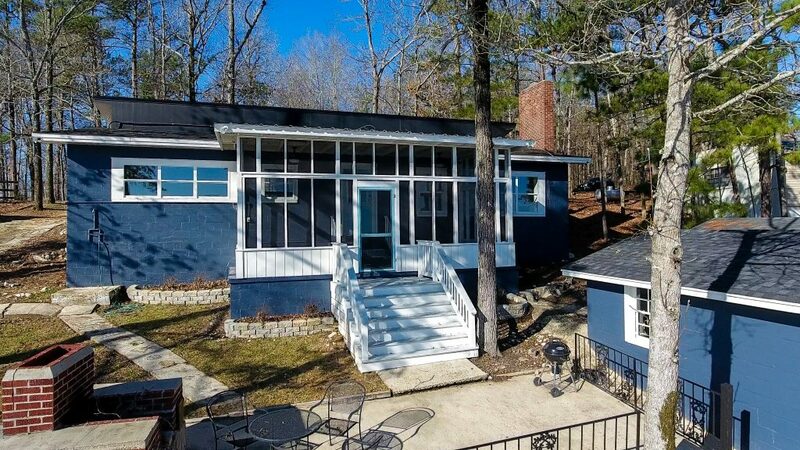 It might also take a few years for local businesses to trust the crowds enough to stay staffed up in September and October; however, I am going to keep a very close eye on the business hours and scheduled events for places around Lake Martin. Not only will I watch on-water restaurants like Chuck’s and Kowaliga, but also the marinas and off-water shops in downtown Alexander City and Dadeville. Will they continue to heavily promote into the fall? I think, as local folk, it is our duty this fall to stand behind our local businesses and give them support. Let’s face it – it is easy to sit back and say ‘they should stay fully staffed and open’ – but when you are the one writing the payroll checks – when it is your money being spent on extra inventory – it can be a scary act of faith. ‘Build it, and they will come’ sounds romantic, but it risks someone’s hard-earned nest egg that was made over the summer. So if you heard thunder roll and saw flash floods splash in August, don’t groan; instead, take heart. Look on the positive side: Every drop of rain that falls increases our chances of keeping a full pool until Oct. 15. And whether we have it or not, let’s all shop locally and strengthen this wonderful Lake Martin community.